Edison Chinese School String Orchestra was established in the end of Year 2015. There are now 12 group members playing different instruments of Cello, Violin, Keyboard, Flute, Drum, and etc. They are between 10 and 16 years old. This String Orchestra mainly performs for the events held by institutions such as senior centers, libraries, schools, overseas communities and so on in the community. The group members do the self practices at home but will have one group practice every month. 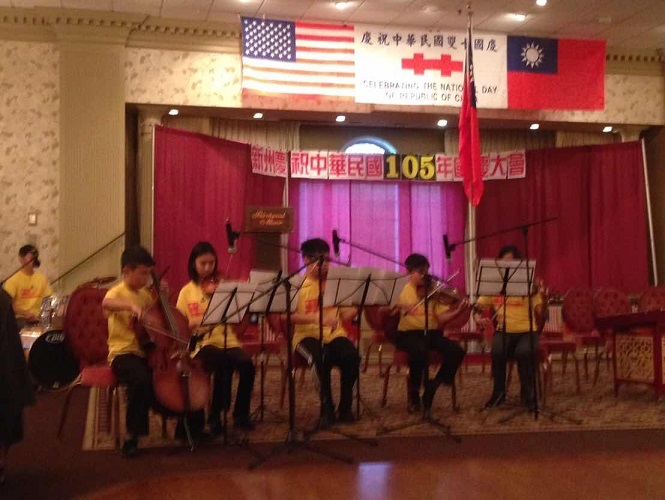 The mission of the Edison Chinese School String Orchestra is facilitating the interactions among different groups in the community, providing seniors entertainment, and most importantly nurturing the members' interest in music. Edison Chinese School cheers for these talented and eager to learn students in this orchestra.